How many times do we hear that? Well…….. our brilliant local councillor – Christine Boyd – has brought this amazing website to our attention. It will definitely have many opportunities for any of our children – of all ages – to spend some time with other kids – doing amazing things!! 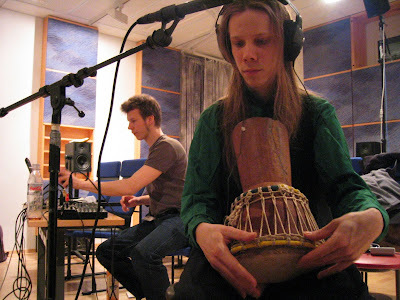 From drumming to drama, from djing to producing, from videoing to singing – all this & heaps more!! (If you're looking for something for toddlers to do as well - remember that we have another blog-page with information for you). Go on – give the website a visit – you’ll definitely find something for your kids to do with their spare time. ………. and get healthy too!! There are loads of us in Leabank Square who love to cyle – and we are neatly situated in some of the most amazing areas to have a great afternoons cycle. One route that is highly recommended – is to Springfield Park Café. Simply turn right outside Leabank Square – Then follow the curves & kinks of Osborne Road. There are loads of us in Leabank Square who love to cycle – and we are neatly situated in some of the most amazing areas to have a great afternoons cycle. Simply turn right outside Leabank Square – Then follow the curves & kinks of Osborne Road and at the t-junction in front of the Old Baths – turn right. You will see the hill over the canal bridge. On the right hand side is the slipway onto the towpath. At the bottom turn right onto the towpath and take a lovely meander all along the canal for about an hour. You will come to the Springfield Park Café alongside the Springfield Boat Club & Marina. There are tables & chairs outside along the riverfront – and the prices are so very cheap. Go on – have a fry-up!! You’ve deserved it!! 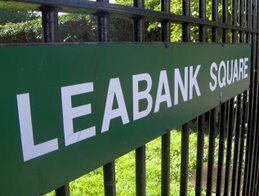 Anyway – you’ll burn those calories off on the way back to Leabank Square! So get that rusty old bike out – give it a bit of oil – and get out there!! Better still – chat to some other Leabankers – and get a regular cycle club going!! Remember – from this July we lose Arena Fields to the Olympic Park opposite Leabank Square permanently. So if you want to have a kickabout, picnic, stroll, walk the dog, reminisce, look at Leabank Square from a hill – or even invite some of your neighbours for a walk – you’ve only got a few more months to do it. Lets all enjoy the last bit of peace & quiet opposite us – until that is – we get a beautiful Olympic Park in a few years time!! Check this out for a great use of the railings in the middle of Leabank Square!! Our very own badminton court in the centre of the green. But seriously – there are quite a few of us in the square who love a game of badminton – and would love to have a regular game – especially on the weekends. So if you would like to get a bit of exercise while having great fun – please leave a comment on this entry – and when enough of us get in touch with each other – then we’ll have a wonderful few afternoons on Leabank Square Green. This has got to be the coolest car in the whole of Leabank Square!! Anybody agree? If you think yours is cooler – add a photo & comment below – and see if you can convince us. Did you know that we have an excellent group right on our doorstep – that looks after our amazing green lung - Hackney Marsh. Please look out for their posters as you walk along the canal towpath – they give dates for forthcoming events – such as clean-ups, tree planting, weed clearing, amazing information walks, etc. The Hackney Marsh User Group aims to increase the awareness and use of Hackney Marshes and advises Hackney Council on its development and maintenance, including tree planting. It holds regular walks and produces leaflets on wildlife and nature trails. …… and ask for forthcoming events & news of the group. Also - if you have a spare half day every now & then – then please consider coming on one of their highly informative walks. It all adds to us all in Leabank Square playing more of a part in our incredible Hackney Wick neighbourhood.